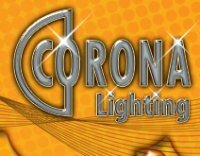 Corona Par 36 Bulb Options	* No Bulb	 35 Watt Halogen (+$18.00)	 50 Watt Halogen (+$18.00)	 Choose your Par 36 Bulb. See lamp guide for color PAR36 lamps. Fixture is prewired with a 30-foot pigtail of water resistant cable. To be used in fountains, ponds, garden pools, and waterfalls. Do not use in swimming pools and spas. Fixture not supplied with PAR36 lamps.